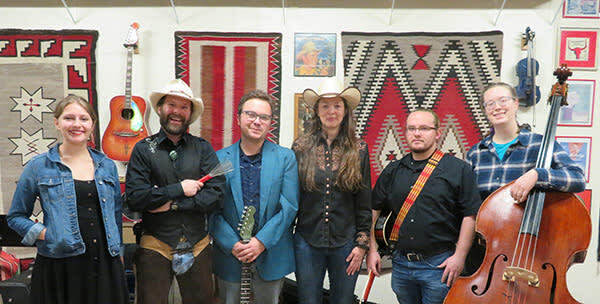 The UNM Honky Tonk Ensemble is a group of students under the direction of Kristina Jacobsen who have been learning to perform country music from the 1960s, '70s and '80s, also known as "honky tonk" music. Taught by performing country artists, the class focuses on country singing style, harmony, rhythm and lead instrumentation, song arrangement, and performance techniques for successful performance. The class is designed to be taught as a group, with students learning to perform as a band in the process.